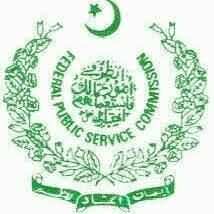 Islamabad, Federal Public Service Commission (FPSC) announced the complete schedule regarding their FPSC CSS exams 2017 viva voce of the qualified students. FPSC has already conducted the written exams of the candidates and now they have announced the result of the written exams and also announced the complete and comprehensive schedule of the viva voce of the selected candidates. The interviews of the candidates will be started from 05 March and the final date of the viva voce will be conducted on 16 March 2018. The viva voce of the candidates will be started at 09:30 am at the FPSC provincial office, 31-Civic Center, Mustafa Town, Wahdat Road, Lahore. The roll numbers of the candidates for the viva voce exams will be mentioned against the relevant dates and they can watch the complete information on this page for their facility.